Few major developers could be as publicly anti-DRM as CD Projekt Red, makers of the Witcher series. Yet there they were with The Witcher 3, getting a good five minutes of stage time with the Xbox One, the face of console DRM going forward. The studio is committed to releasing on Xbox One but none too happy about being in such a bind. To Eurogamer, CD Projekt Red said it doesn't know yet how it will handle a publisher who doesn't allow The Witcher 3 to be re-sold—probably because the game does not yet have a publisher. But CD Projekt Red runs Good Old Games, which makes a big selling point out of having no DRM, and there are few studios publishing titles of this size that have such a visible anti-DRM stance. Eurogamer says they're bristling at the guilt-by-association from appearing at Microsoft's event. "We couldn't simply not release The Witcher 3 on Xbox One," CEO Marcin Iwiński told Eurogamer. "We want to make sure that every single player will have access to our game and thus decided to deliver for PC, PS4 and Xbox One. There are people who don't mind the DRM protection and will pick Xbox One as their platform of choice. We can't punish them." Earlier, he said that "if you want the 100 per cent DRM-free experience you will have it on the PC, the platform where we set the rules for our games. 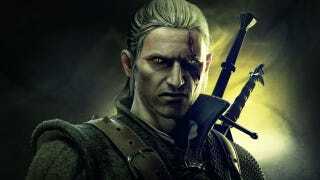 The Witcher 3 will be available 100 per cent DRM-free on our digital distribution platform GOG.com, and that's one thing I can confirm."